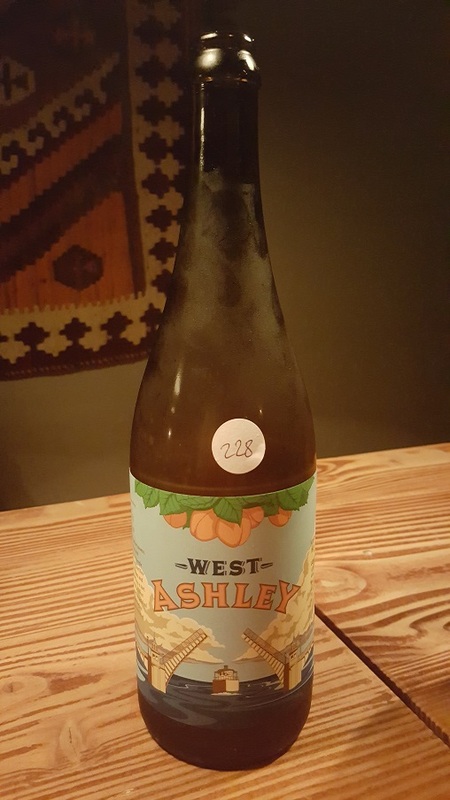 Brewer Description: (from bottle) Orange, lactic, and bursting with apricot aroma, West Ashley is built for consideration and conversation. 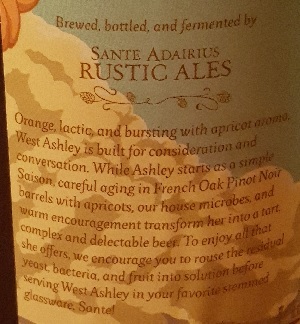 While Ashley starts as a simple Saison, careful aging in French Oak Pinot Noir barrels with apricots, our house microbes, and warm encouragement transform her into a tart, complex and delectable beer. 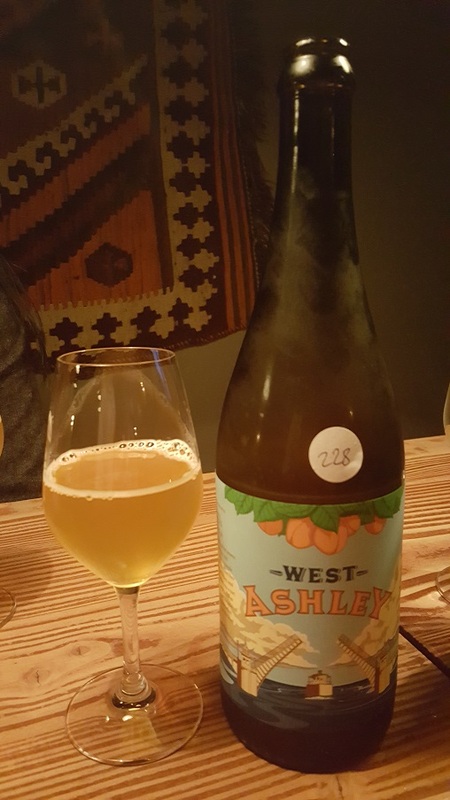 To enjoy all that she offers, we encourage you to rouse the residual yeast, bacteria, and fruit into solution before serving West Ashley in your favorite stemmed glassware. 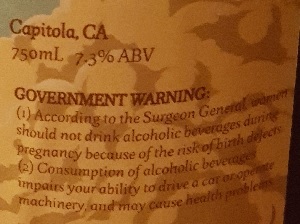 Sante! Intro: A 750ml bottle at Himmergiet with no discernible bottled on date on the bottle although the menu states that it was 2016. Poured into a mini wine glass. Appearance: It poured a hazy golden straw colour with a minimal white head and sparse lacing. Aroma: An initial whiff of something that reminded me of tuna salad followed by tart, apricot, berries, funk, grass and hay. Taste: Sour, tart, apricot, raspberry and cranberry.